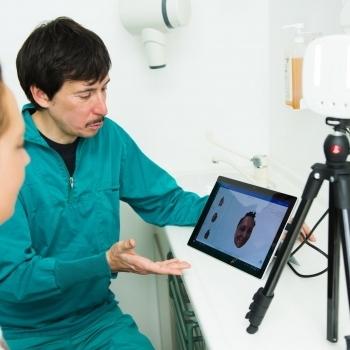 ObiScanner is a new generation Face Scanner, specifically designed for Digital Dentists looking for a way to acquire a 3D model of the patient’s face in a very short time. The technology is completely safe, unharmful and does not cause any disturb to the patient. The average time for completing the scan (acquisition + elaboration) is only 15 seconds.  ObiScanner is fast, reliable and HD. Surgical and prosthetic planning (virtual patient). 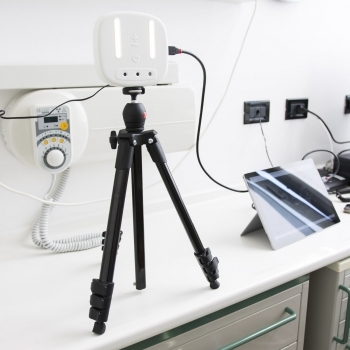 ObiScanner’s ease of use, speed and compatibility with any CAD system (Exocad, Dentalwings, 3Shape, Rhino, etc), as well as CBCT and iOS scanners, has made it the missing piece of the digital dentistry workflow in any best dental practice. Using ObiScanner is easy, neat and requires no training. 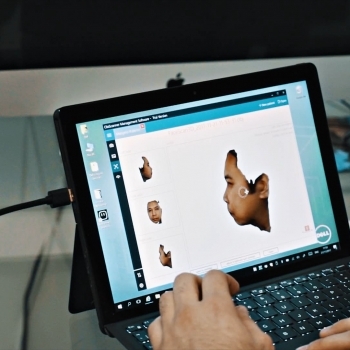 The scan lasts only 15 seconds, instantly producing a fully featured 3D model. ObiScanner is very light and easy to carry around. 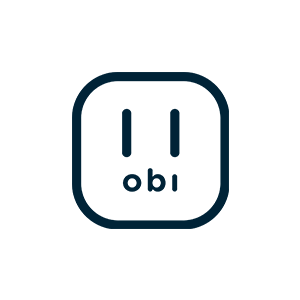 Import data from intra and extra-oral scanners (.stl, .obj, .ply supported). Manage all patient 2D and 3D data in only one place. Superimposition of ObiScanner 3D model with any intra-oral scan is very easy with dental CAD softwares (like Exocad, Dentalwings, Geomagic), providing information about proportions, measurements and colours which were only available in 2D. 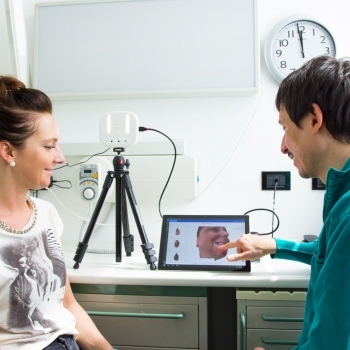 The software associated with the scanner allows you to scan rapid movements performed by the patient either with a relaxed mouth, or smiling with teeth exposed. 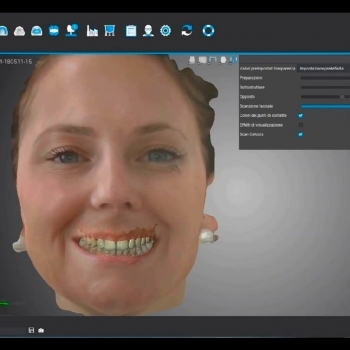 The software manages all the 3D models, even those acquired by other sources such as intra-oral scanners and cone beams. Enter your name, email and stay in the loop for upcoming news about previews, release dates and more!